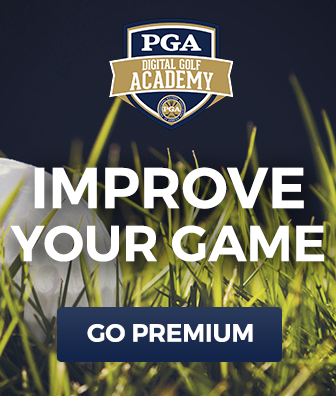 Select your subscription plan and get our best golf lessons and class videos with 24/7 access to tips and techniques from our experts, automatic renewal and our ‘cancel anytime’ policy. When you’re on the green, as you get farther from the hole your chances of sinking the putt decrease exponentially. You’re not expected to make a 20-ft putt, neither are the pros. You just hope to get close enough to save your par and move on. But short putts, say within 6 feet, you should sink them. If you’re not consistently draining putts near the hole, you might want to hit the practice green to gain some confidence. 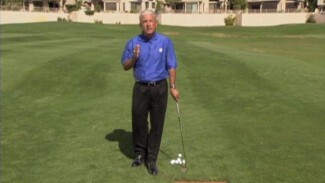 And if you need a little help when you get there, PGA Professional Michael Peterson can guide you with one of the best putting drills for short putt consistency. Our favorite putting drills are easy to do, with no special tools or any need for a partner, and they work wonders for your confidence. In one of the best putting drills we’ve seen over the years, all that’s required are 3 golf balls and a handful of tees. We call this 3 feet to infinity. Michael shows you how it’s done by planting tees in a straight line away from the hole, at 3 feet, 6 feet, 9 feet, and so on until you tire out. Once you have your tees set up, all you have to do is start putting. At each stage, your job is to sink all 3 putts. If each one goes in, keep in mind what you did right and what you might be able to improve, and then move back to the next stage. If you miss any of your putts, figure out what went wrong, and start over, correcting the error. To help with this, Michael teaches you some expert short game tips that will ensure improved technique. The beauty of this drill is that the only pressure is that which you put on yourself. It’s low stress, easy to do, and yet impossible to master. There’s always room for improvement, so you don’t have to beat yourself up when you miss. See if you can trump your record, and keep going until you can’t keep draining putts. Putting tips and drills like these are crucial for confidence with the short stick, and will lead to fewer dropped strokes and lower scores. We guarantee it! No matter your age or skill level, 65-70% of your shots in a round of golf come within 100 yards of the pin. With a statistic like that, you could say it’s pretty important to hone your skills with the shorter clubs in your hands. For most amateurs, learning how to improve short game swing mechanics just takes repetition and a solid understanding of distance control. 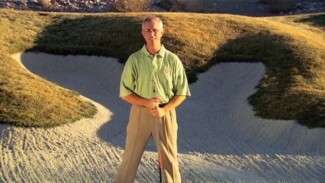 Challenging yourself through a series of practice games and drills is a great way to improve your bunker play. PGA Instructor Joe Plecker, Jr. and Brandel Chamblee show you three of these, the Penny Drill, Trajectory Drill, and Ladder Drill. Practicing these drills will lead to more consistent ball striking and distance control out of the sand. If you can master these drills, you will be a better bunker player and dramatically increase your odds of getting up and down. 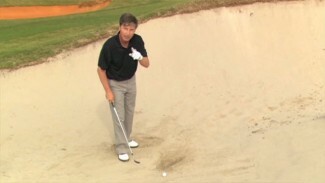 PGA Professionals Joe Plecker, Jr. and Matt Kluck teach you the principles needed for more consistent shot patterns when playing specialty shots from a bunker. Matt and Joe demonstrate the techniques used to successfully negotiate out of the bunker in tough situations all golfers face. Matt teaches the principles of the Hook shot, for when you need a lower trajectory with a longer roll out on the green and the Cut shot, for when extra loft and a softer landing are ideal. 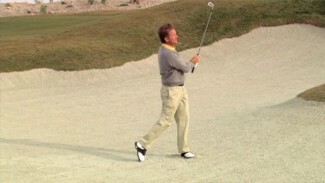 Joe demonstrates the corrections necessary for bunker play in windy conditions. Different situations and shot challenges require unique set ups. This lesson will teach you the correct stance, grip and weight distribution you need to negotiate difficult bunker shots with confidence.